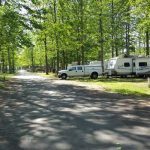 Terri and I were invited to stay at the Indigo Bluffs RV Park near Empire, Michigan this weekend. This is an older park that is currently under renovation. 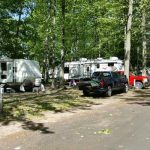 The park has dirt sites, 30 amp electric, water, some have sewer. A newer section with gravel pads was not yet open. The new section will feature full hookups and 30/50 amp service. 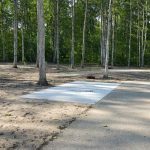 This new section is laid out strange with some sites located directly behind other campsites. Not sure why this is. 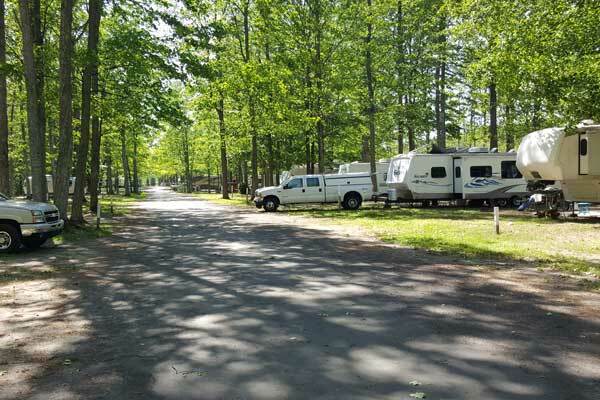 There is also an RV Resort which adjoins the RV Park. 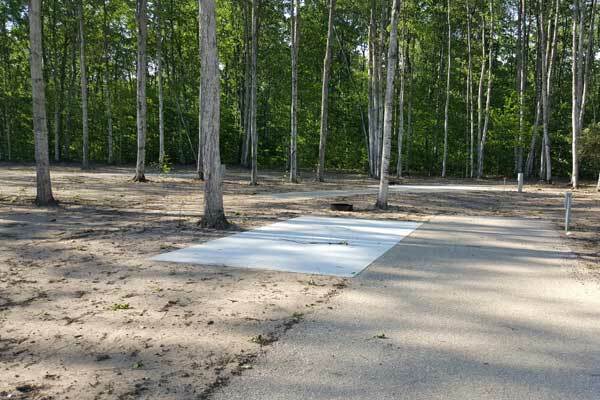 It offers paved sites, with full hookups and is landscaped quite nicely. 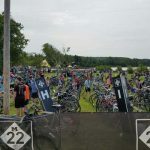 While we were here for the weekend, the kids participated in the M-22 Challange. 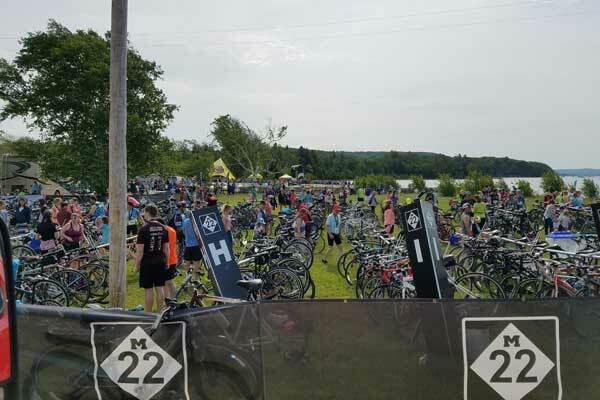 The M22 Challenge is a unique run-bike-paddle event held in the Sleeping Bear Dunes National Lakeshore. After the race, we all gathered at the Empire Village Park to enjoy some pizza. Terri and I just love coming to this park to sit and enjoy the beach on Lake Michigan. What was new to the park were signs instructing you to pay for your parking. If that weren’t enough, several people with safety patrol vests on (like you would see on school crossing guards) would run around and hand out tickets to all those who missed the signs. Nice little local scam they got going here now. On Saturday the weather turned for the worst. The wind got up to around 60 mph. 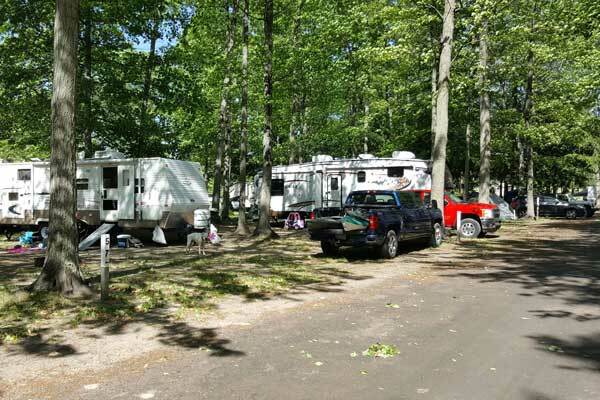 Several RVs had sustained damage throughout the park. It sort of just sprung up on us.